Caul’s gradual ascent from murky dark ambient depths to more serene musical fields has been a slow process over some sixteen years and multiple albums, which has certainly been a positive evolution to bear witness to. Yet during this metamorphosis rather than leaving behind core aspects of their sound, it has been more a case of augmenting the haunting dark ambient drones with more musical aspects. As such the maudlin atmospheric layers remain, acting as the base for the instrumental elements (including: percussion, bass, guitars, piano, orchestral strings & brass, sparse vocal textures etc), which are seamlessly woven into the musical tapestry. Whilst acknowledging the continued presence of a dark ambient undercurrent, it is the addition of the more musical elements that have had a profound effect on the overall mood. Accordingly the word ‘ethereal’ comes prominently to mind when reflecting on the tonal characteristics and overall atmosphere of current Caul material. As a result the definitive mood presented can be described as being in a ‘4AD’ atmospheric style, reminiscent of number of acts coming from that legendary label. In fact some compositions with their orchestral and semi-tribal percussive elements play out very much like an instrumental Dead Can Dance song, which is a compliment to the quality of the song writing. 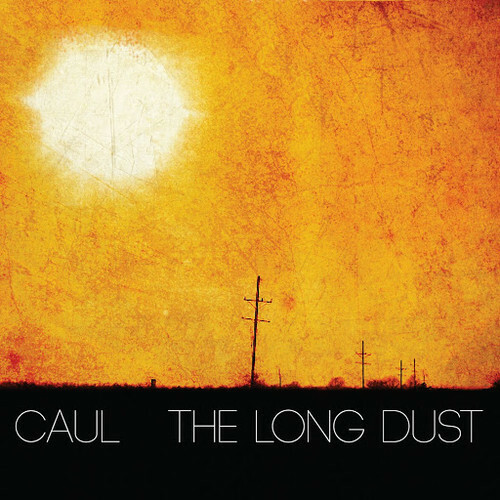 For those who have not followed Caul since their last album released on Malignant Records way back in 1998, you will be in for quite a surprise as to how far Caul’s musicality has been pushed over the intervening years. However for those who have keenly followed Caul’s progression, this is another welcomed step in their evolutionary process. This entry was posted in 2013, dark ambient, drone, Malignant Records by noisereceptor. Bookmark the permalink.